Back row L to R: Robbie Forbes, ?, Duncan Riddell, ?, Sandy Fraser, Billy Clark, ? 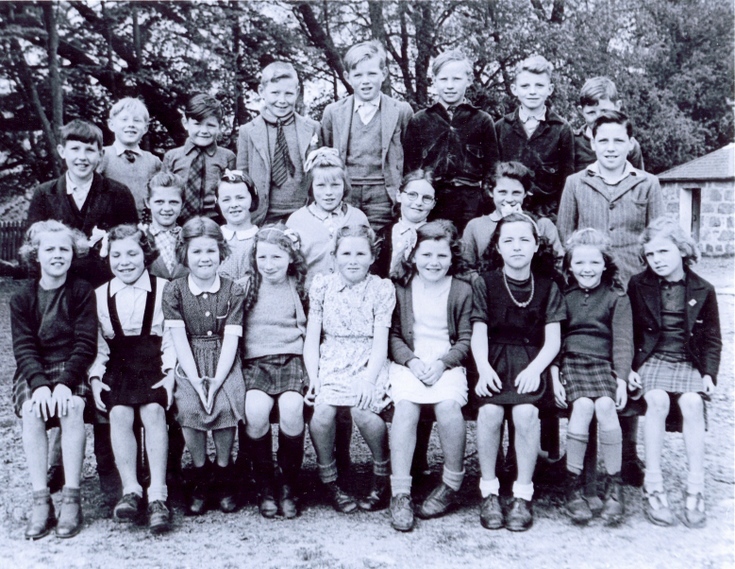 Front row L to R: Shirley Robertson, Sylvia Pirie, Muriel Robertson, Olive Irvine, ?, ?, Helen Kellman, Catherine McDonald, ?. Forbes, who sent the photograph on behalf of his sister Elizabeth, says hopefully someone may be able to fill in the blank spaces.